Our Duraglaze glass rooflights are fixed with a minimalistic framework design whereby maximum daylight exposure can be achieved. Offered in a range of high-quality glass options such as self-cleaning and solar controlled, the Duraglaze glass rooflight boasts a superb part ‘L’ compliant roof glazing solution at a very competitive cost. 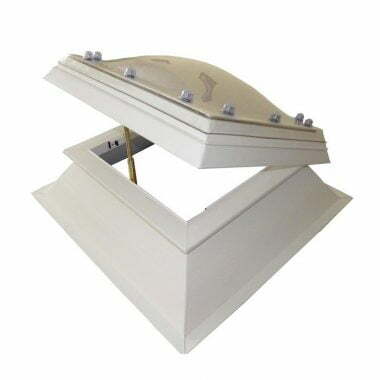 Designed to be installed into flat roof applications. The glazing is secured by way of bonding the glass to the framework and finishes with a perimeter silicone seal to the external glass and frame edges. Our Duraglaze Plus Glass Rooflight is available as fixed, vented or hinged units. You can choose between manually or electrically operated openings. The Duraglaze Plus range comes with a kerb. If you’re looking for a glass rooflight, then look no further. To find out more, call us today on 01670 821166 or e-mail us at info@directrooflights.co.uk.